417 Casa Del Mar Dr, Half Moon Bay, CA 94019 | MLS# ML81735833 Casa Del Mar / Kehoe Etc. Stylish west side rancher, located within blocks of beautiful beaches and miles of coastal trail. 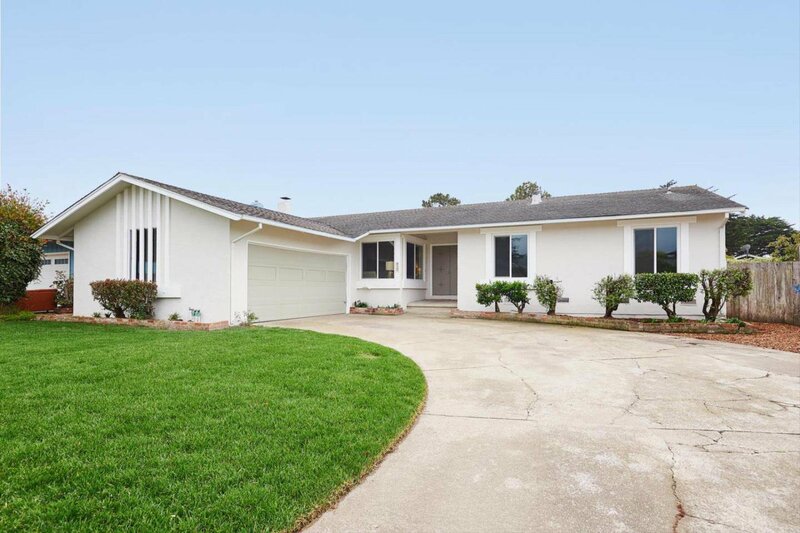 Upon entering you will find a lush lawn greeting you to the front door of this charming ranch-style home. The entire exterior has been redecorated with a design-inspired paint scheme and the interior adorned with new fixtures and finishes. Freshly painted with neutral colors complimenting the gorgeous laminate flooring, this home boasts a desirable layout that includes a spacious living area with a stunning statement fireplace, a master suite with a newly upgraded bathroom, and a breathtaking gourmet kitchen. The kitchen features everything a chef could possibly need from the sleek new cabinets, polished backsplash, to the brand new stainless steel appliances you will be ready to conquer any dish! Near charming downtown HMB with quick access to the highway for commuters - about 40 minutes to AT&T Park or Stanford. Come see today!